Invest in an everyday essential with the S'well 17oz Orchid Water Bottle. This bottle is from the brand's new Glitter Collection and features a shimmering purple finish. Made from double walled stainless steel, it will keep your cold drinks cold for twenty four hours and your hot drinks hot for twelve hours. 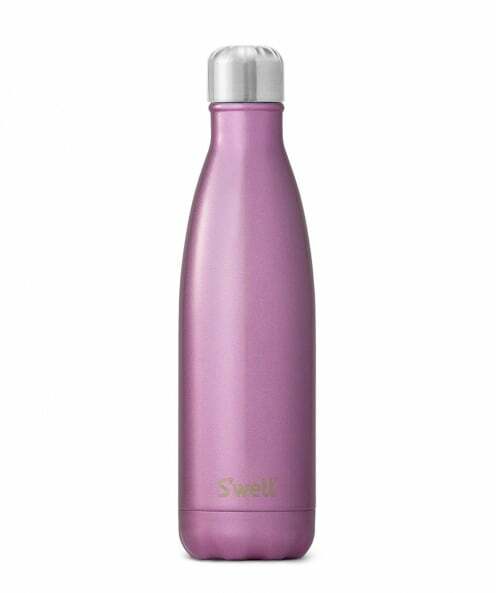 Complete with a vacuum seal and screw top, keep yours in your handbag to stay hydrated and on-trend. All of our flasks are one size, please check an item's specific volume and measurements.